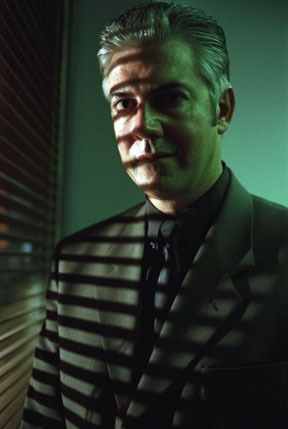 DVDs – Shaun Micallef Online! Now that The Ex-PM has wrapped up a second season, you can now get it as a Christmas present for your nearest and dearest! Or even people further away that you don’t care about. 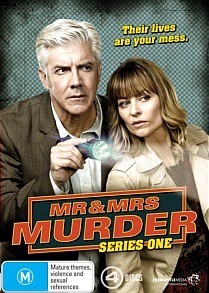 It’s also been lovingly (or as a marketing ploy) been put into a double-set with Series 1 – so if you didn’t buy the first season (as if! ), get them together! You’ll find it in all places that sell ABC stuff. Like a high speed train passing a transport enthusiast who wasn’t ready, The Ex-PM has gone by too quickly – and all 6 episodes are done! Sadly, Dugdale didn’t even get his book written. All the episodes are on iView until December 2nd, and you can now get the DVD at all the usual places (like the ABC Shop). There’s a few extras and bloopers from the series. If you’re hoping for a second series, never say never, but you will at least need to wait till 2017, as Shaun has his dance card full for the next 12 months. Welcher & Welcher now available on DVD! It has been eight years coming, but the very clever sitcom written and staring Shaun, Welcher & Welcher, is now available for you to watch over and over in the private space that is your own home. The only special feature is outtakes, but the series itself is worth it for any Shaun fan. So get to your local store (or online*), exchange your cash for a plastic disc in a plastic box, put the disc in the thing that looks like a cup tray and prepare to laugh and laugh. And cry. Then laugh again. 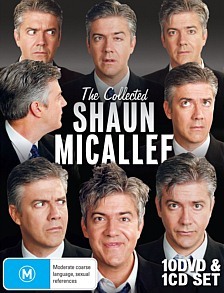 That hilarious sitcom written by and starring Shaun is coming to DVD! Also starring Robyn Butler and Francis Greenslade, the show was set in a law firm and followed the misadventures of Quentin Welcher. Madman is listing the release date as June 16th with commentary by Shaun to be confirmed, so here’s hoping! You can still find the original website for the show here. What were your favourite moments from Welcher and Welcher? Leave a comment!